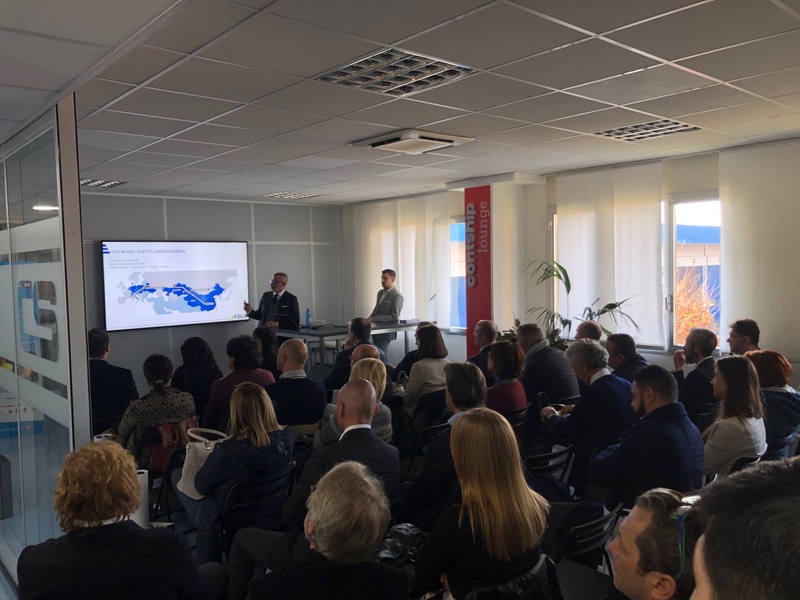 FELB brings together over 40 freight forwarders in Melzo to present the new rail connection that will link Italy with China, supported by Contship Italia’s Rail Hub Milano and Hannibal. The event, held at Rail Hub Milano (RHM) headquarters in Melzo in the morning of December 4th, was organized to present the launch of the new Melzo – Chengdu rail service operated by FELB (Far East Land Bridge). 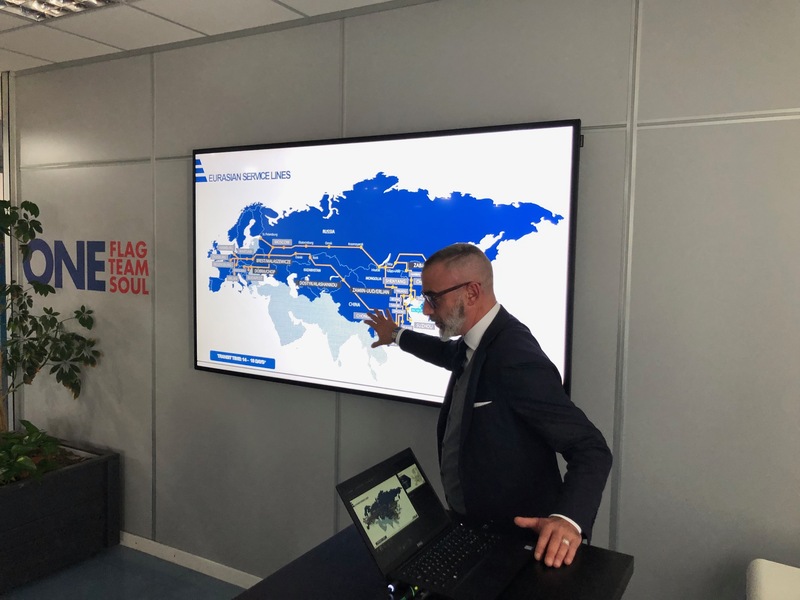 The agenda comprised a short presentation of the Contship Italia Group and its Melzo Rail Hub, with a special focus on the support that Hannibal, Contship Italia’s MTO, can offer to import and export cargo through the new network connections. Following the introduction, Leonardo Vender – FELB Commercial Director – and Nicola Cavasin – FELB Area Manager Italy – presented the audience of over 40 freight forwarders with the details of the new direct Melzo-Chengdu-Melzo connection, showcasing the advantages of the service in terms of costs and transit times compared to Northern routes, which will be available to customers. The Melzo-Chengdu route service – the start of which is scheduled for Q1 2019 – will allow transport of over 40 HC containers both eastbound and westbound, with a transit time of 16-18 days. While FELB will be the operator, Contship will be providing support with logistics and customs services through its subsidiaries.